11) Que reste-t-il de nos amours? Bonsai Bop marks the recording debut of a truly outstanding artist. Pianist Ryoko Nuruki comes from the city of Kagoshima, on the Southern tip of Japan, but now resides in Nice. Ryoko's skills emanate from a classical background - she is at once both dynamically percussive, yet incredibly sensitive with a magical, intimate touch. 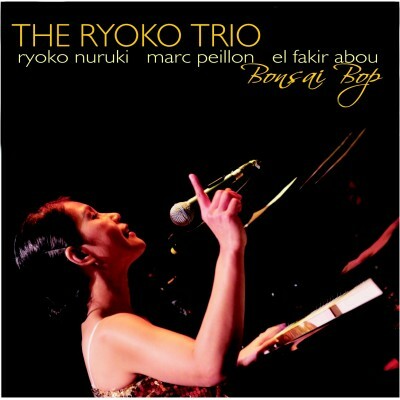 She has an amazing rapport with virtuoso bassist Marc Peillon and the dynamic drums of El Fakir Abou making this Trio in the real sense of the word, - a truly integrated band who play perfectly for and with each other.